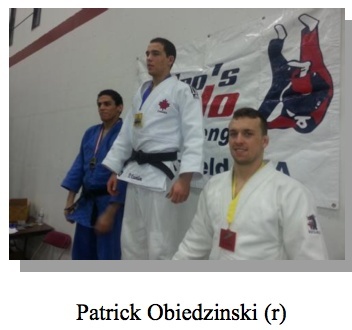 The New York Open Judo Team Championship at the New York Athletic Club was won Sunday by Team France for the second consecutive year. Team Japan took the silver and Team Germany, a two-time winner of this event, took bronze. 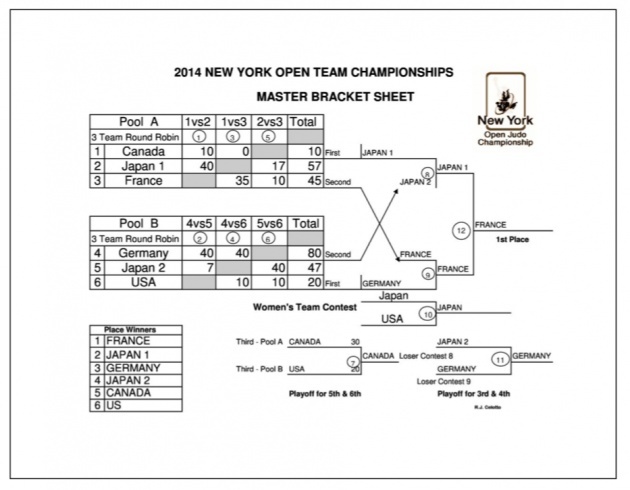 Tokai University sent two male teams and one female team to the New York Open. A special guest of the event was the Consul-General of Japan in New York, Ambassador Sumio Kusata and his wife Madame Kusata. 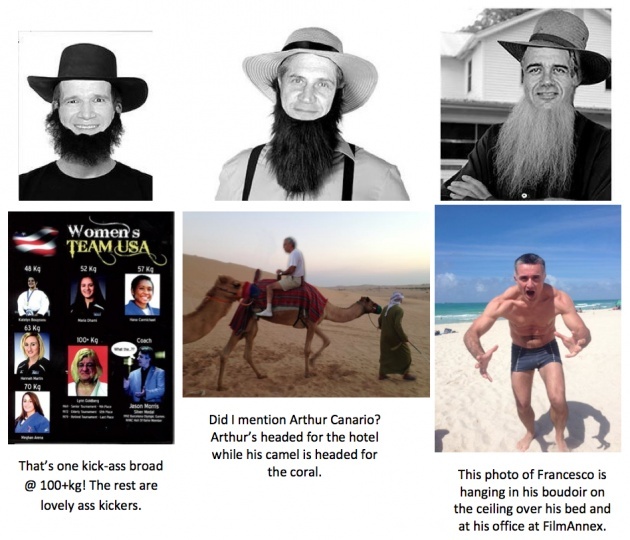 The Consul-General gave out awards to the athletes and posed for photos with the teams. The New York Open Judo Team Championship, sponsored by Arthur Canario, MD, Film Annex and United Water, was created to promote the Olympic Sport of Judo and to have international Judo here in New York City and available to all to see and enjoy. The team tournament format sends teams of five players against each other. The format encourages rivalry in an atmosphere of friendly competition. There are no professional consequences to the athletes winning or losing a match. As a result, the competitors play an inspired, action-reaction style judo. The prize money for this year was $3500. In the preliminary rounds, the youthful Canadian and USA teams were eliminated leaving two Japanese teams from Japan, the French and German teams all vying for the title. 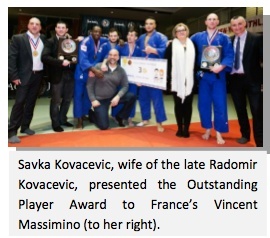 France's Vincent Massimino won the Radomir Kovacevic outstanding player award in recognition of his steady play in anchoring the winning squad. However, two booming left-handed uchi matas (major inner thigh throw) by Germany's 22-year old Sven Heinle will not be soon forgotten by his American and French opponents. For more photos go to: http://www.filmannex.com/galleries/show/5146. 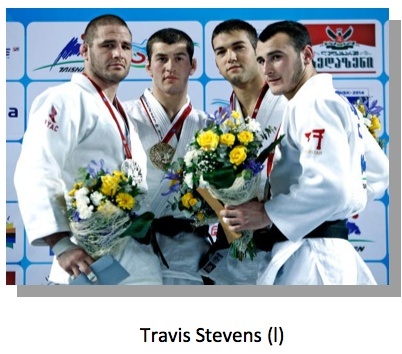 HUGE congratulations to Team USA's Travis Stevens, who went 3-1 to take SILVER at the Grand Prix Tbilisi in Georgia today! Stevens, ranked No. 4 in the world, was on the attack in the final gold- medal match against the No. 1-ranked Avtandili Tchrikishvili of Goergia when he was caught with a counter throw to lose the match in the 81 kg. division. Stevens (USA Judo Training Site, Pedro's Judo/NYAC, Wakefield, MA) has been on a roll lately, taking gold at the Grand Prix Dusseldorf one month ago today. His U.S. teammate in Georgia, Hannah Martin, 63 kg. (Jason Morris Judo/NYAC, Glenville, NY), ranked 11th in the World, went 2-2 to take 5th place in her division today. 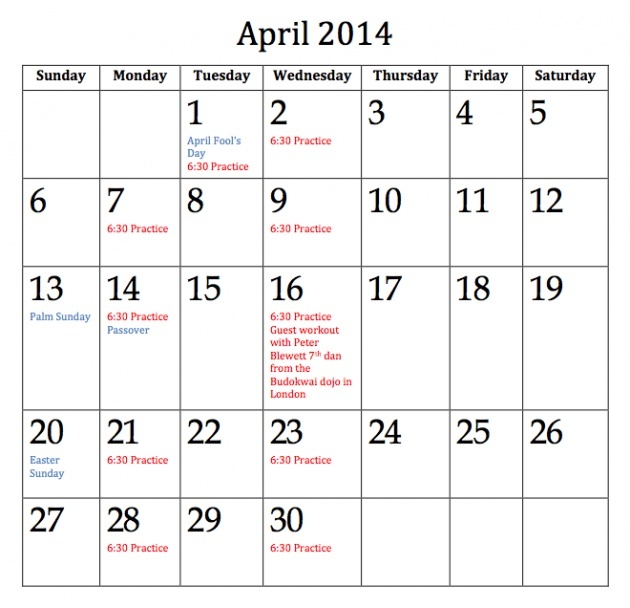 Stevens and Martin now head with teammate Alisha Galles to the Grand Prix in Samsun, Turkey, March 28-30. ... Stay tuned! 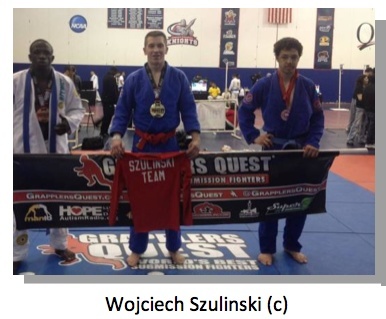 Results of the Grapplers Quest NY! March 17th of Bernie Lepkoffer at the age of 80. 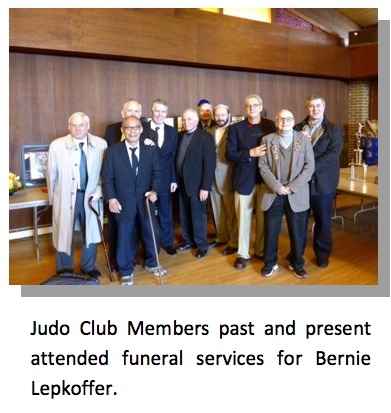 He had been a member of the New York Athletic Club for over fifty years and was the first great Judo champion to represent the Club. Bernie medaled in the US National Championships 10 times in his career (the last, a silver medal at age 45! ), won the Metropolitan AAU championships as a heavyweight and then as the Grand Champion (the play-off among the winners of all weight classes) virtually every time he entered it. 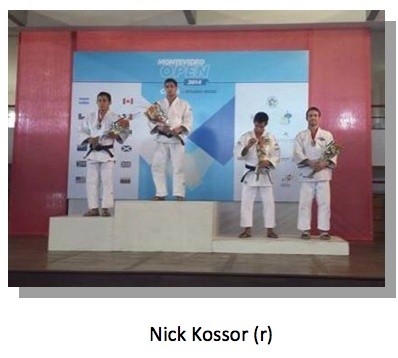 Internationally, he medaled in the Canadian Open Championships several times and won individual and team Gold Medals in four successive Maccabiah Games over a span of 16 years. For those who knew and competed with Bernie, he was the gentle giant, immeasurably strong, but also a smart and talented competitor. Traveling to events with him was always a great adventure, as the training routine for this incredibly successful competitor focused on resting and finding the best places to eat. 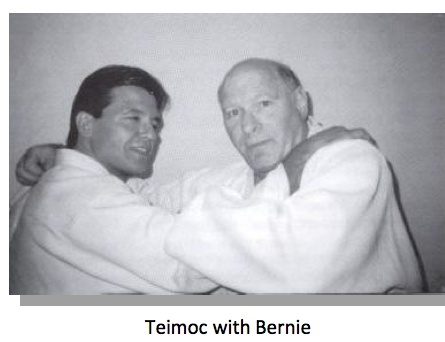 But once on the mat, the matches proceeded with monotonous predictability: his opponent would recognize his strength and opt to use foot techniques to try to keep out of reach of his python arms; Bernie would counter those techniques to throw the opponent and then pin him. And being pinned by Bernie was about the same as having a stake driven through you into the mat...you could, perhaps, blink one of your eyes, but nothing else moved.